Have you found an online vendor selling La Hechicera Extra Anejo? La Hechicera Extra Anejo rum Is distilled using the solera method and aged between 12 and 21 years in American white oak casks. La Hechicera rum has been produced by the The Riasco family for the past two decades. They're the only family-run Rum distillery in Colombia. 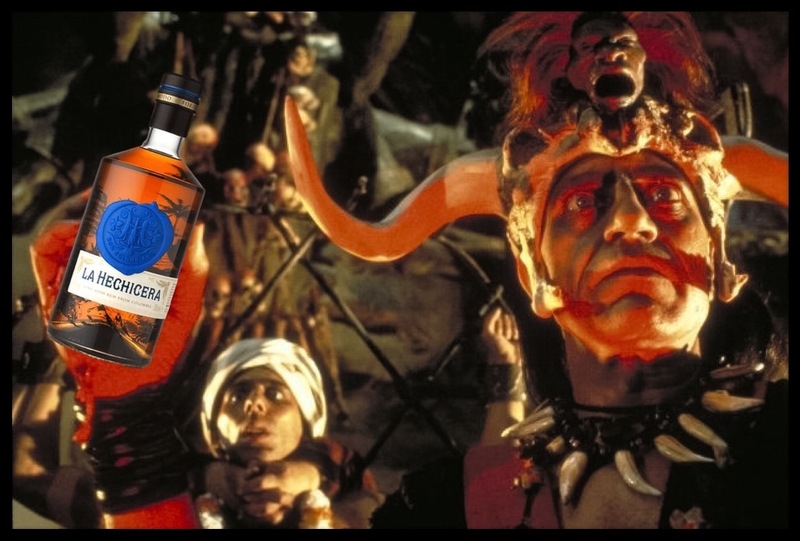 The rum derives its name from the Spanish word “Hechicera” which translates to “enchantress”. Rich aroma of dark fruit and some burnt sugar with very little alcohol smell. First sip is very pleasant with a subtle oak and medium sweetness with a dark coffee profile. Slight bite in the throat but a gentle heat in the chest that lingers surprisingly long (might be that Kali Ma ritual from last night). The back end is where the coffee flavor is most noticeable but not overpowering. It makes for some bitterness but in a good way. This rum isn't incredible, but doesn't make many mistakes. a very creamy scent of caramel and some sorts of toffee. in the mouth it is creamy and smooth. harmonic. round. no edges. for some moments to chill. i taste orange and coffee notes. maybe some tobacco. in the base it has to do with dictador rum, but in the end it adds the orange twist to it. very good stuff, i think and of course no added sugar. in the end it lacks one point to ten, because of its harmonic taste without any edge :). As a rum aficionado this is hands down one of the best rums I have ever tasted. Dry, incredibly smooth and an aroma to die for this is a beautiful tribute to what rum should taste like in its unadulterated form. I came across this on the back of a very much appreciated recommendation, hard to find but worth every effort in tracking down. A very fairly priced solera rum, supposedly additive free. The nose is nice with wooden notes, orangepeel and a bit of toffee. In the mouth the rum behaves smoothly like a solera should, but it's not destractingly sweet like so many other solera. I pick up medium bodied and unmasked notes of wood, sweet tobacco and roasted coffee. It's not very complex and the slightly spicy finish fades fairly quick, but the composition works very well. A fine rum that doesn't demand to much attention, but works perfectly neat alongside a game of cards. It definitely shares some similarities with dictador, another colombian rum, but at this pricerange i prefer la hechicera. Thumbs up. Really a good discovery during an event in Belgium. Once in the glass, the Hechicera shows its nice light amber color accompanied of small lazy legs.Once you sip it , even with no added sugar, you realise that it is really smooth with a little gentle burn. On the aroma point of view, you will found toffee, tobacco and some fruit. Smooth, creamy, but also little woody and with the bit of cocoa. Definitely worth the money. Boy! This is really good rum. There is a lot going on and a lot of subtlety. The nose is hard to pin down, but molasses, smokeyness, oak and sugar cane come through. Then when you taste it, it starts with much the same flavours as above and then gets a bit sweeter (maybe a touch of toffee and caramel), and then it finishes off quite dry but with a vague touch of a honey flavour on the lips. It seems to do an awful lot at a very good price. Having read the descriptions here, I thought that this might be a little too dry and a little too oaky and smokey for my tastes, but it isn't - it's really very balanced between slight sweetness and slight dryness - that has to be down to good rum blending. This is definitely a top sipper, especially for the price - roughly 40 quid. I prefer unsweetened and with no added flavor rums, La Hechicera hits all the starts, it is a dry rum, with coffee, orange and oaky notes that is easy to drink. I prefer it on the rocks, so smooth that I have never had just one. I přes svou přátelskost byla Kolumbie na dlouhé roky očarována vlivem moci nechvalně proslulého Pabla Escobara. Jako jeden z podpůrných argumentů proti přetrvávajícím negativním předsudkům o této krásné zemi, mohu uvést, že se zde narodila jedna poctivá čarodějka (La Hechicera), která se svou misí začala cestovat celým rumovým světem, aby opět hrdě vztyčila kolumbijskou vlajku na každé své zastávce. Pokud můžete, rozhodně si setkání s ní ujít nenechávejte. Ač čarodějka, je pravá a poctivá, protože na vás nedělá žádné umělé cukr-bliky, takže jí můžete věřit každou odhalenou vlastnost. Na vůni u ní příliš nespěchejte, ať se neochudíte o poctivé dubové dřevo s lehoučkými náznaky kávy či tabáku. Chuťově se prezentuje jako velmi jemná, vyvážená, vyzrálá, uzavřená minimální přírodní nasládlostí. Její kouzla nejsou nikterak složitá, vykouzlené chutě rychle přichází i odchází, takže zachytit vše, o co vás může čarodějka obohatit, je jen pro rychlé a bystré „oko“. Setkání je však natolik příjemné, že si jej rádi zopakujete a možná si z něj odnesete i něco nového navíc..
Its very specific in nose as well as in mouth. People who enjoy aromatic rums will love its smoothness and fruity taste. People who look for something more mature and distinguished should look somewhere else. In the nose there is something special, maybe caramel, maybe toffee. The taste includes many different tones, chocalate, coffee, caramel. Really great. Found accidently in Bogotá in a Jumbo store. (You cannot really find it even in COL.) The first catchy thing was the appearence of the bottle, and the price also indicated it was something above the others. It has a harmonic taste and aroma, you can clearly feel the caramel, but also a bit of alcoholic burn. A very good rum, much enjoyable, definitely a must-to-try, if you have the possibility. Coffee and cacao in the nose. The same on the tongue, with some hard to identify fruit. Plums? A bit rough though - meaning that the alcoholic burn sets in pretty fast. The finishing then again nice and smooth, a little bitter, coffee again. Wow, good discovery.After a long distillery tradition, Riascos family, brother & sister decide to create their own rum. The result is a non extra sugar added very smooth aged in oak barrel. Vanilla is very subtile. Florale & fruity notes. In palate, fruit aromas are growing with apple, orange and other notes I can not identify. Dry and sweet at the same time. The bottle has a subtle design and the wax seal is awesome. This rum is the perfect transition between molasse & agricole. Looking forward to the future creations. Interesting! Starts easy and soft but slowly develops into spiciness with distinctive liqourice. Caramel color pleases the eye. Tobacco and vanilla meets the nose. Very dry on the tongue, compared to most other dark rums I have tasted, again with tobacco and vanilla. A fleeting finish. Caramel, Coffee, Oak Wood with hints of citris (Orange). Amber in Color with a nice logo stamp on the bottle. Very smooth and worth every penny it cost. Did not last a week in the house. The longer it sits in ice the better it tastes. 10 in my books. Sweetness, burnt caramel, a bit of oak. Overall pretty smooth with a lingering finish. 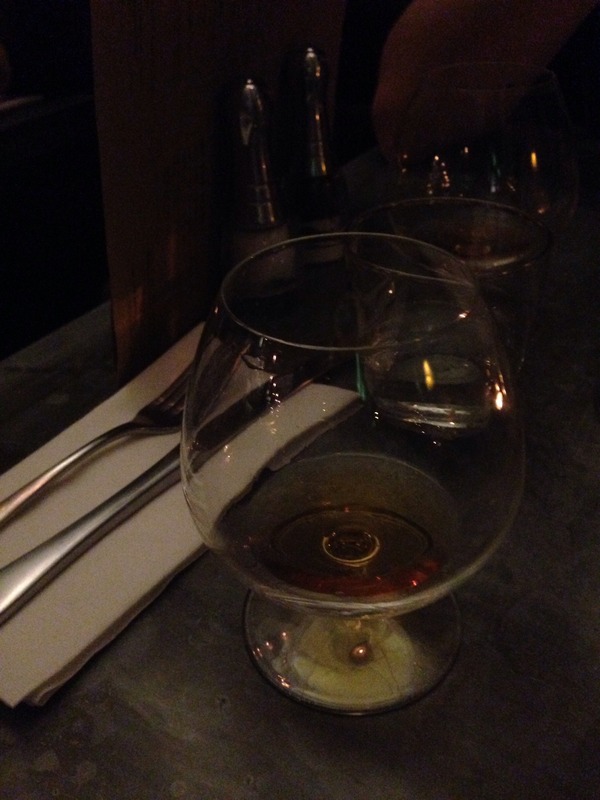 Well it’s been a while since I’ve posted a review; spent some time drinking Rye and the commoners swill (Beer). Sometimes you have to leave something for bit to appreciate it again. Plus it took some time to accumulate some new bottles of rum. In any event into the review. On the nose; orange zest dominates and a little tobacco. On the palate; again orange zest and citrus with oak. Maybe it’s been a while for me but I find it quite astringent for a bottle that claims to be a solera style between 12 and 21 years. The finish is dry and oaky and bitter; not bad but not a top shelfer for me. Not for beginners. Ok, means, no sweet rhum, certainly no difficult rhum, the kind you start appreciating after trying many sweeter rhums. Me and my uncle tasted this one after much zacapa, plantation and yes even cracken. And accepted this one as best price quality. A really great rhum, no sweets but far from bitter or alcohol spirit sharpness. 40 % is our max level and this one has that holy level. Not outspoken, tasty, far from a cheap sweet taste, brilliant balance. Yes, the sorceresses deserves its name.